Order vs. Chaos. Logic vs. Empathy. Business vs. Design? 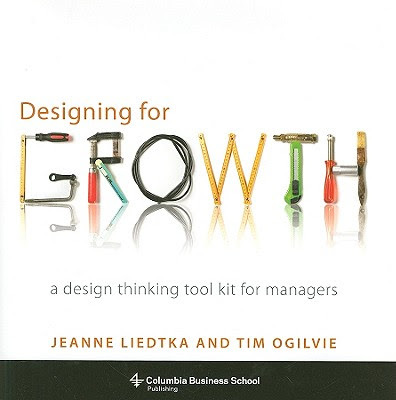 In this first post in the Design Thinking Series, inspired by a lecture by Jeanne Liedtka and her book "Designing for Growth: A Design Thinking Toolkit for Managers", I'll explore the eternal tension between the opposing forces of business and design. How does Design Thinking differ from the more traditional Business Thinking that most people with a marketing and management background are used to? 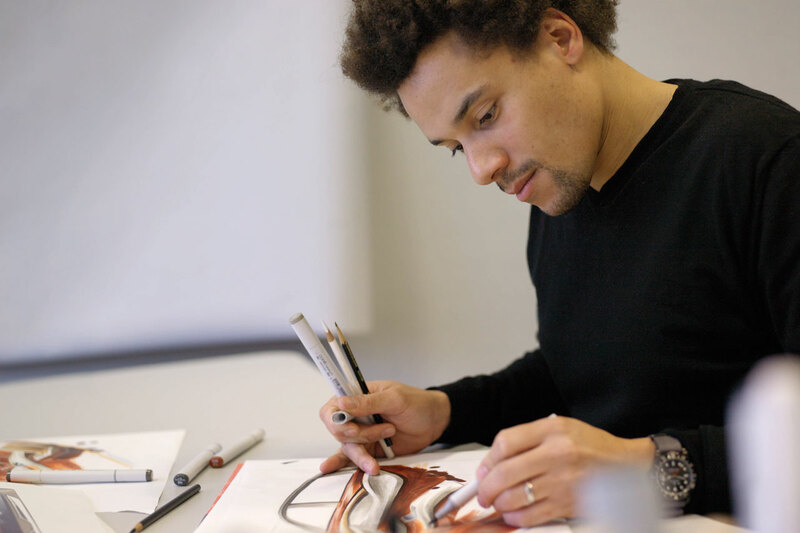 What can we learn from design that can help bring greater balance to how we approach our work? Read on! First, let's talk about business, which, for most of us, is the status quo. The traditional business approach is logical, rational, and objective. It operates in a reality that is precise, and where everything is quantifiable. It seeks the "truth" - the "right" or "wrong" action in a given situation. In order to get to that answer, business people aspire to achieve order and control. They build models, frameworks, and terminology, all to give them the feeling of being in control - the feeling that everything is in order. Organizations and processes are built in order to facilitate this need, as well - from check-ins and sign-offs to templates and hierarchies. Ambiguity and uncertainty make business people nervous and uncomfortable, because they crave predictability. In business, innovation is viewed as risky, messy, and often an inefficient use of resources. Rather than create innovations from scratch, business people prefer to set "benchmarks" based on what their competition is doing and then react accordingly. They approach problems analytically, using a decision-making process that demands "proof" along the way, often using data generated in the past. 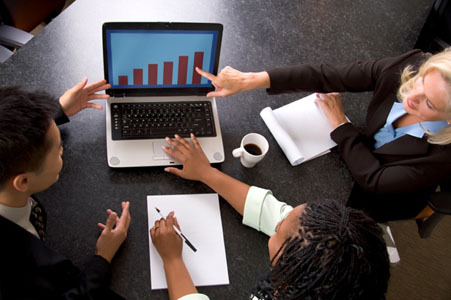 Most of all, however, business is about talk - planning, forecasting, and analysing - not necessarily action. 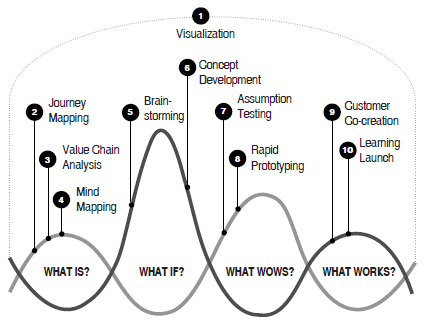 Design Thinking is different - and probably not quite what you thought. Some might equate Design Thinking with creativity, artistic genius, and even magic. But there's nothing magic or random about it: Design Thinking is a systematic process to solving problems and creating value. It always begins with the customer and works to deliver something valuable to them by creating a better future. Most of all, however, Design Thinking recognizes that you probably won't get there the first time, but after multiple tries and improvements. Interested? Then let's talk about design. The design approach is less logical and more emotional - it focuses on the human experience. It operates in a reality that is always defined subjectively by the people in it. The notion of desire - human desire - is viewed as a more powerful motivator than reason. To designers, there is no right or wrong, only "better" or "worse". To designers, ambiguity and uncertainty are "like crack cocaine". Designers approach problems by actively imagining futuristic worlds to prototype and play in. They favour trying new things and seeing what happens over extensive planning and risk mitigation. Designers are overwhelmingly experimental in their approach, and have patience when it comes to feedback and failure. Finally, Design Thinking is about second chances. They expect and plan to "iterate" their way to "better" answers. Design is about taking action - making things happen - and then responding based on how that action has affected the human experience. Hence, the data that drives the design approach is derived from real people in the real world - the here and now. Shoot first, adapt later - that is the design thinking way. So, what kind of thinker are you: business or design? If you're feeling like your approach tends to skew towards the business-side of the equation, then the Design Thinking Series is for you. In the next post in this series, I'll take a look at the Core Tenets of Design to better understand what makes designers tick, and in the third and final post, I'll explain one of the major activities of Design Thinking, and something rarely seen in the business world - Rapid Prototyping. Enjoy!